Fishing Regulations ‹ Marina Shores Marina is an all wet slip marina with all floating docks, offering a large swimming pool and poolside bar. 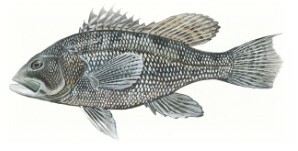 Fish illustrations courtesy of USFW and Duane Raver (may not be reproduced without permission). Effective May 1, 2010, possession limit will be reduced to 1 per person. 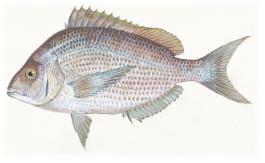 Click here to go to a MD web site showing differences between American shad and hickory shad (there currently are no restrictions on hickory shad or herrings). Shark rules have changed effective 12/1/05, please refer to the regulation for the specific restrictions [Regulation 4 VAC 20-490-10 et seq.]. A summary will be provided on this page at a later date. Note that there is a coastal trophy season from May 1 to May 15; the regulations summarized below for Virginia Trophy Seasons apply to the coastal trophy season. Coastal regulations apply in Virginia’s Territorial Sea, plus all of the creeks, bays, inlets, and tributaries on the seaside of Accomack County, Northhampton County (including areas east of the causeway from Fisherman Island to the mainland) and the City of Virginia Beach (including federal areas and state parks fronting on the Atlantic Ocean and east and south of the point where the shoreward boundary of the Territorial Sea joins the mainland at Cape Henry). Click here for map of coastal boundary near the CBBT. Additional Trophy Season Regulations: Catch Report Required; no possession of 32″ or greater striped bass in the Spawning Reaches May 1 through June 15. Trophy Season regulations apply in Virginia’s Territorial Sea and the Chesapeake Bay and its Virginia tributary rivers, except for the tributary rivers emptying into the Potomac River (see note below for more information on Potomac River striper regulations). * 1 fish of the 2 fish possession limit may be larger than 32 inches ( catch report required if striped bass 32″ or greater is kept ); No possession of 32″ or greater striped bass in the Spawning Reaches May 1 through June 15. 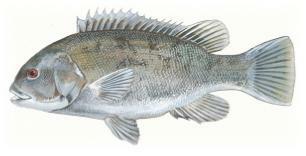 * 1 fish of the 2 fish possession limit may be 34 inches or larger; no fish may be kept between 28 and 34 inches. Chesapeake Bay regulations for both the Spring and Fall seasons described above apply in the main stem of the Chesapeake Bay and Virginia’s Chesapeake Bay tributary rivers, except for the tributary rivers emptying into the Potomac River (see note below for more information on Potomac River striper regulations). Other Virginia restrictions: You may not combine possession limits when seasons overlap or you fish in multiple jurisdictions. 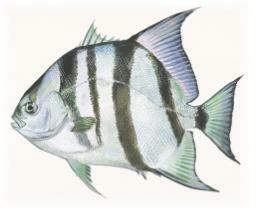 Gaffing striped bass or attempting to gaff striped bass is illegal in Virginia marine waters. 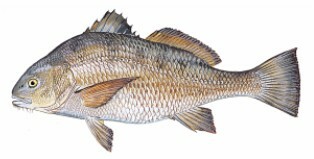 Federal water striped bass regulations: Atlantic Ocean waters beyond the 3 mile limit are closed to the taking and possession of striped bass all year. 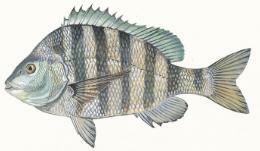 Potomac River striped bass regulations: Different regulations apply in the Potomac River. These areas are subject to the rules and regulations of the Potomac River Fisheries Commission, P.O. Box 9, Colonial Beach, VA 22443, (804) 224-7148; (800) 266-3904; http://www.prfc.state.va.us. For further information on PRFC rules contact PRFC directly. 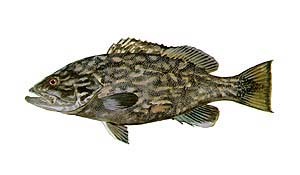 The above flounder restrictions apply to Virginia tidal waters, except that in Virginia’s Potomac River tributaries the minimum size limit, closed season, and possession limit will be the same as established by PRFC for the mainstem Potomac River.